Heli Bathija from GFMER has been invited to be a member of the International Advisory Board of the African Coordination Centre for the Abandonment of Female Genital Mutilation/Cutting, ACCAF, which was launched by the University of Nairobi, Nairobi, Kenya on 10 December 2013. 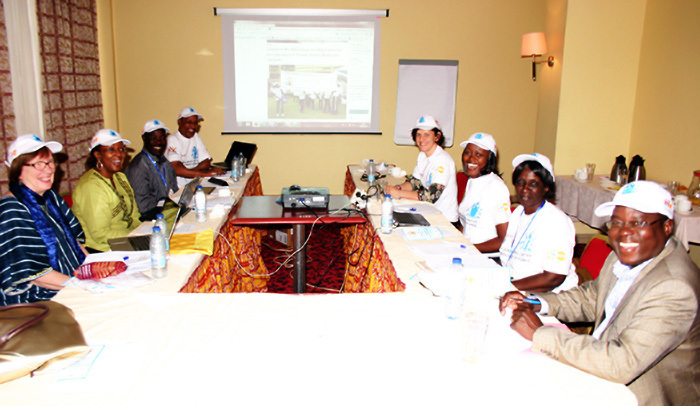 The first meeting of the Advisory Board took place on 4 February 2014 in Yaounde, in conjunction with the African Conference on Sexual and Reproductive Rights. The photo includes the following persons from left to right: Heli Bathija (GFMER), Nafissatou Diop (UNFPA, New York), Isaac Nyamongo (University of Nairobi), Guyo Jaldesa (Coordinator, ACCAF), Nesrin Varol (University of Sydney), Tamary Esho ( Kenya Polytechnology University), Christine Kigondu (University of Nairobi), George Guiella (Université de Ouagadougou). The issues discussed by the Advisory Board included ACCAF's proposed research agenda and training programs. GFMER is likely to be involved in promoting research related to men's role in maintaining harmful practices such as FGM as well as contributing to the efforts for abandonment of FGM. GFMER will also collaborate in developing an on-line course about how to implement the global strategy on stopping health personnel performing FGM.